Artists and criminals are often the first to push the boundaries of technology. 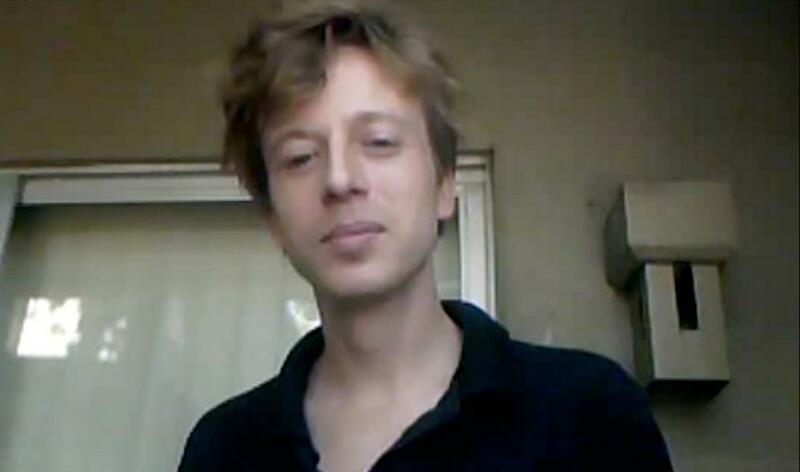 Barrett Brown is a criminal who has actually helped inspire art - the TV show Mr. Robot. Its protagonist is a hacktivist - a hacker who breaks into computer systems to promote a cause. He had spent years in a prison cell thinking about what he might do when he got out. And he says he is ready to change, so next time he gets involved in hacking a corporation he is able to inflict maximum damage. "Certainly, I haven't gotten any less militant in the course of having these things done to me," Brown says. The 36-year-old Brown was born in Dallas. His father was a wealthy real estate investor, until he was investigated by the FBI for fraud. Brown's father was never charged, but the family lost all its money and his parents divorced. "It was something that I'm sure instilled in me the idea that there was a degree of arbitrary power out there that could come down at any time and disrupt your life, as it did to me when I was a child," Brown says. "That's what ... in part brings me to contempt for the American citizenry," he says. "Obviously, I have no respect for the laws, for the government or for the voters." "I saw this as the very first ripples in something that would grow to be one of the great dynamics of the 21st century, that we would see more of this emergence [of] online warfare essentially against institutions including nation-states," he says. Brown viewed this as a private corporate version of COINTELPRO — the FBI's effort in the 1960s to discredit activists like Martin Luther King Jr. In September 2012, Brown was at home talking online with members of Project PM. "I heard a rustling at my door and I walked over to the door. I was holding a beer in my hand," he says. "[I] thought it was another friend of mine." But when he opened the door there was a SWAT team equipped with shields and helmets. Brown says they were yelling, "Put your hands up buddy." Brown says they had him on the floor and put a boot on his back. The audio of the arrest was recorded by someone in the Project PM chatroom. "I was a former heroin addict," Brown says. "I was getting off Suboxone at the time, which is a synthetic opiate. And I was sort of suddenly feeling emotions again that have been kind of bottled, kept down a few months. I was very upset about my mother being threatened with indictment." I turned to an unlikely expert to help me figure that out — Sam Esmail, the creator of the TV show Mr. Robot. "Their spirit is in activism," Esmail says. "Their spirit is in exposing these frauds and abuses by people in power. And that's just something on a human level I respect." But Mr. Robot is hardly a glowing portrait of hacktivists. Its hero, Elliot, is a drug addict who can't access his own emotions. Sound familiar? Elliot leads a group called fsociety that takes down the world's largest corporation — erasing everyone's debt. Chaos erupts. Mr. 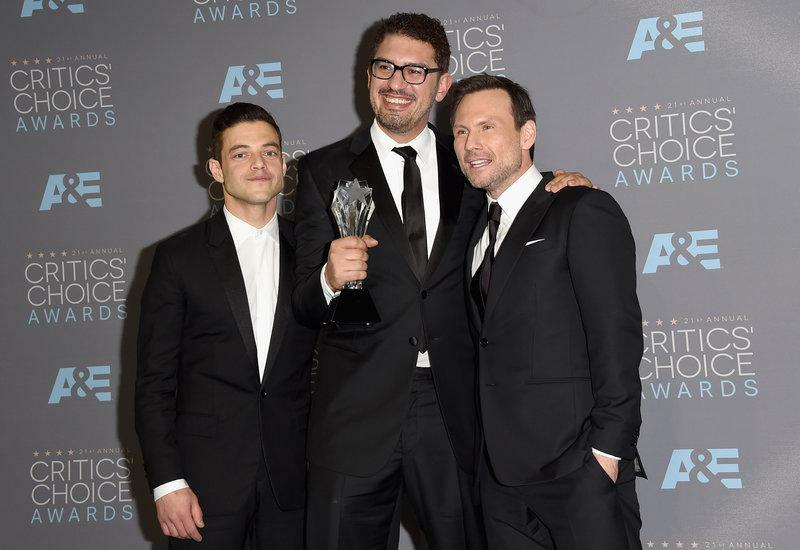 Robot actor Rami Malek (from left), writer/producer Sam Esmail and actor Christian Slater, at the Critics' Choice Awards in Santa Monica, Calif., in 2016. "Their spirit's in exposing these frauds and abuses by people in power," Esmail says of hacktivists. "And that's just something on a human level I respect." Esmail says he is looking at an age-old dilemma. "Do we commit a criminal act for something that we feel is just, even though the consequences could be great?" he says. "That's such a kind of loaded, huge, but very relevant question today." Brown doesn't seem interested in examining the moral ambiguity of hacktivist crimes. But he says he is learning from past mistakes. Ultimately, Brown feels that Anonymous was disorganized and lacked leadership. Brown says when people tweet and post their opinions on social media it's just "slactivism." 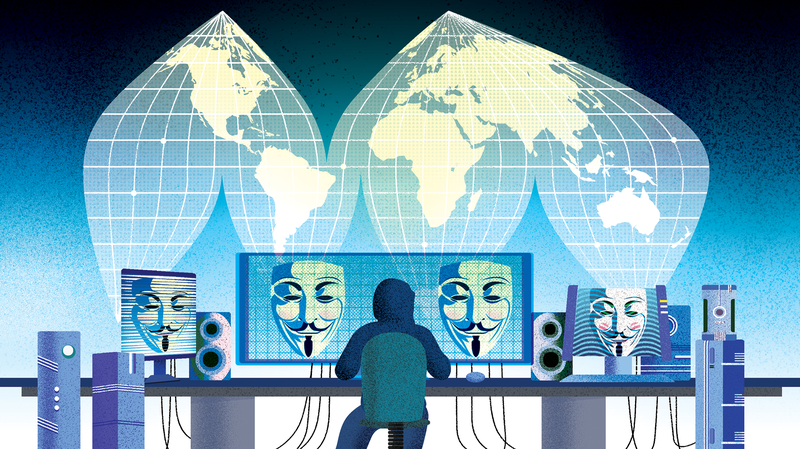 "The next great act of hacktivism, if it really is going to be great, it has to be an act of reaffirming the idea of civic duty," he says. He says he wants to provide a mechanism for people who do feel that sense of civic duty to really have impact. "I want to be in a position to defeat my powerful adversaries in public," he says, "where everyone could admire the pluck in which I did it." Brown is casting himself in a starring role in the new world. And in his mind Mr. Robot is no fantasy. It's what the future really looks like.